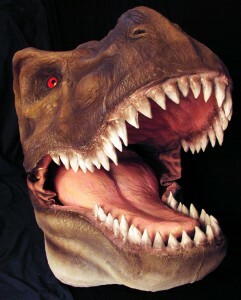 We gave Rich the challenge of creating a life-like full size T-rex head for our haunted attraction. The challenge was to fit the dinosaur to an animatronic rig we built. Rich delivered the prop earlier than expected, and it was amazingly realistic. We loved what he did so much, that we decided to make it the finale of our attraction. It added huge production value to our show and gave our customers the thrill we were looking for. Not only did the prop look great, but it has held up through abuse from both operators of the prop and scared customers. We can’t wait to work with Richard again! 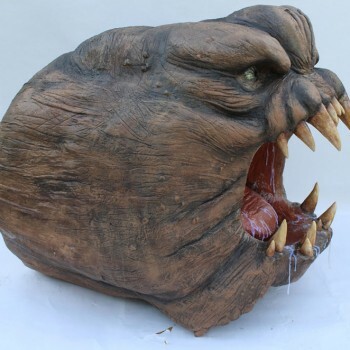 – Mike and Jen Bilski, Owners, The Lab Haunted Attraction, Michigan.